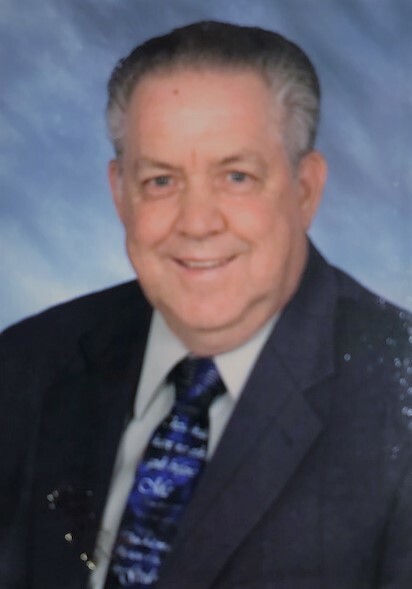 Obituary for Dennis R. Hicks | Loudon Funeral Home and Cremations, Inc.
Pastor Dennis R. Hicks, age 77, passed away February 1st, 2019. He was born August 25th, 1941. At age 11 Dennis accepted the Lord as his savior. He was a carpenter by trade but accepted his call to preach in April 1971. He pastored Watson Chapel 1974-1977. He moved his family to Pine Island, FL in 1978 to start a church. In 1982 God sent him to Schererville, IN and he pastored there for 22 years. In 2004 he came ‘home’ to pastor Lee’s Chapel. During his ministry he trained many young preachers and saw countless souls get saved. People would describe Dennis as always steady, unmovable and steadfast. He always represented himself in a Godly way to all who knew him. Pastor is preceded by the death of his Father; Raymond Hicks, and by Sister Barbara Duke. He is survived by his wife of 60 years; Christine Hicks “Sam,” children; Brauzo “Bo” Hicks and wife Britney, Zarna Hicks, Kernessa Thiesen and husband Wade, Guzar Hicks and wife Susan, by grandchildren; Karita, Jearum, Dakota, Zarah, Zeth, Megan, Hannah, Isaiah, Jude, by great-grandchildren; Madison, Brooke, Elazia, Miriam; by his mother Ruby Hicks, by sisters; Brenda Underwood, Linda Phillips, and Sandra Simmons. The family will receive friends Tuesday, February 5th from 4-7pm at Lee’s Chapel; the funeral service to follow at 7pm with Zeth Hicks, Jeff Pickett, Brother Fred Wilson, Brother Tom McDonnell, and Brother Jay Scruggs officiating. The graveside service will be held Wednesday February 6th at 11am at Lee’s Chapel with Brother Adam Henry officiating. Loudon Funeral Home is serving the Hicks family and online condolences may be left at www.loudonfuneralhome.net.